This web page is about wrongful termination settlements in the state of Connecticut. It’s rare for good cases to go to court, because they frequently settle out of court. But if they don’t reach settlement, there could be a trial, in which the plaintiff or defendant will prevail. Many of these litigation cases consist of mixed settlements, meaning they involved a single, or perhaps several claims of wrongful firing as a consequence of constructive discharge, firing in violation of public policy, breach of employment contract, race, color, national origin, religion discrimination, pregnancy, sexual orientation, gender expression or gender identity discrimination, gender discrimination or workplace retaliation. The data displayed provides a snapshot of the various types of claims filed as well as their particular numbers in CT in 2017. 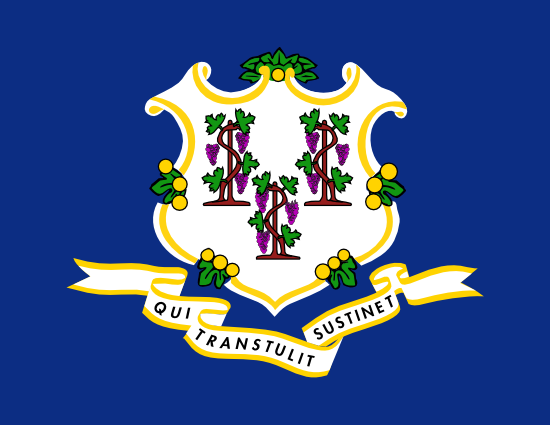 Connecticut is the 3rd smallest state in the USA. WHen you also consider it’s demographics, you’ll understand why it has one of the lowest case numbers of wrongful terminations and discrimination claims. Nevertheless, we found a few interesting cases, along with the sums each case settled for. Alex Charts had been an insurance agent for Nationwide Mutual for 2 decades. He operated his insurance agency as a corporation. He was actually one of the company’s most successful agents. The company terminated his contract in a letter. Charts claimed that this was wrongful termination, since his relationship with the insurance company was subject to the Connecticut’s Franchise Act and the Connecticut Unfair Trade Practices Act’s termination provisions. Based on the act, subject to the disclosure and other provisions in Connecticut law relating to franchises. Qualex Inc. was a subsidiary of Eastman Kodak, a photo processing company. The company was reducing it’s workforce at it’s facility in East Hartford, Connecticut. The EEOC investigated the RIF (reduction in force) after receiving reports of age discrimination. The investigation concluded that workers over 50 were targeted by the RIF, which violates the Age Discrimination in Employment Act. The average age of those who were laid off was above 50, which was above the average age of employees who were not fired. Foodworks is a chain of grocery stores operating in Connecticut. The EEOC sued the company on behalf of a man who was fired just a few days after having an epileptic seizure at work. The man would have been able to perform his duties and had medical documents stating he was able to return to work. This violates the Americans with Disabilities Act. During the EEOC’s investigation, they also found that Foodworks discriminates against job applicants with disabilities, since they asked questions targeting the applicants’ health, prior conditions and any medications taken. Elizabeth Stewart was a salesperson for Cendant, a company providing relocation services. She helped in finding new homes for people and in selling their old homes. Her husband also worked for the company as an executive in the operations division, and she held the vice president of sales position. In 1998, the company underwent restructuring, and Stewart’s husband was terminated. Stewart was not terminated, and was promised that her job would be safe, even if her husband went to work for a competing company. One year later, Cendant Corp. learned that Stewart’s husband became a consultant for a competing business. The employer reduced Stewart’s duties and limited her scope of operations. Soon after, she was terminated. When examining our listing of unlawful termination settlements from Connecticut, remember that the larger amounts of money are caused by punitive damages. Punitive damages are handed out to discourage corporations from doing the same kind of unlawful behavior. Punitive damages are relatively rare. The vast majority of lawsuits will settle for between $10,000 to one hundred thousand dollars. Our directory of unlawful termination settlements and verdicts in CT is intended for informative purposes. Although you may feel similarity to any of these examples, bear in mind that every situation is unique. What is the average wrongful discharge settlement/award in Connecticut? If you feel you were wrongfully terminated, it’s easy to understand that you might want to check the amount of money you can expect to receive for your wrongful discharge case. In the event that you reach settlement (or prevail in court), the exact amount you obtain is always based on these factors: lost benefits, lost wages, costs of finding a new job, emotional distress, medical costs and reason of termination. Punitive damages could also be granted in rare cases, in the event the company behaved egregiously. As you’ll notice from the sample cases mentioned above, providing a typical settlement for unlawful termination claims in CT is difficult, simply because each individual case is different. The average wrongful termination settlement in Connecticut is between $4,000 and $80,000. Attorneys can be beneficial while working out a larger settlement. The majority of court or jury awards are bigger, approximately $110,000 – $400,000. This is certainly one reason employers choose to accept a settlement out of court. Several years of going to court, bearing its legal costs and perhaps losing the lawsuit in the end can certainly be expensive. If you think you were let go for some kind of unlawful cause, read on to find out what to do. To start, you’ll need to contact a wrongful termination attorney in Connecticut to determine whether or not there is a case worth pursuing. Ensure you have adequate time to file your claim, read the Connecticut laws of limitations pertaining to wrongful termination. Additionally, you are going to most likely need to file a timely claim with the EEOC office in New York, or the FEPA in Connecticut. Here are a few tips on filing a wrongful termination claim.